This comic-drama centers on a group of gay men gathering in a New York City apartment for a birthday party. After the drinks are poured and the music is turned up, the evening slowly exposes the fault lines beneath their friendships and the self-inflicted heartache that threatens their solidarity. This revolutionary play changed theatrical history by unapologetically putting gay men's lives onstage which had never been seen before in a realistic way. 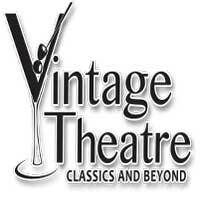 Enjoy Matt Crowley's incendiary gay classic on the stage of Aurora's Village Theatre.